Posted February 22nd, 2015 at 3:28 pm | Log in to reply. Thank you so much for your videos and recipes! I made jjajangmyeon today for my husband, who is Korean. I am not Korean and had never tried Korean food prior to meeting him, so I had no frame of reference for cooking it. He is so happy! 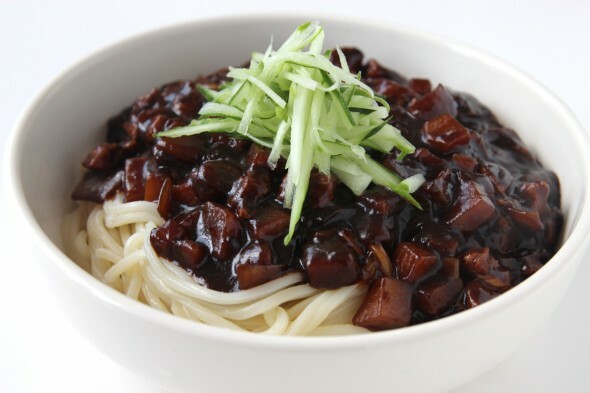 I have tried to make jjajangmyeon before (from a different Korean cookbook) and the result was not good so I didn’t even try to make it again for a long time. I do know how to cook, but I have been a vegetarian for almost 30 years, so unless I’m making a vegetarian dish, I cannot taste test it. So I have to rely on the quality of the recipes. I have had so much success with your recipes, my husband now says my food is better than the Korean restaurant here. (Yay! I think he loves me just a little bit more because I can cook the food he loves most for him). Thank you so much! Pilseung! Posted February 22nd, 2015 at 3:42 pm | Log in to reply. haha, I’m very happy to hear that your Korean cooking is going well and your delicious Korean dishes satisfy your husband! “… a little bit more because I can cook the food he loves most for him” awesome! Posted January 9th, 2015 at 3:02 pm | Log in to reply. Being new to Korean food, I tried these at a restaurant and asked for no meat because I’m a vegetarian, it was amazing, so when I saw you made a video about this I hopped over to H mart in my area and bought the ingredients, I skipped the meat added and just continued the recipe and it was great! I really enjoyed making this! Thanks maangchi! Posted January 9th, 2015 at 2:53 pm | Log in to reply. Upload the photo of the powder, please. I can’t tell you without looking at what it is. Posted February 26th, 2016 at 2:38 am | Log in to reply. Posted December 10th, 2014 at 4:15 pm | Log in to reply. 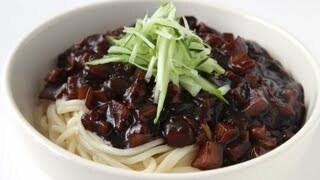 I just tried jjajangmyeon, I thought it was amazing! So did my wife. I am dying to try more Korean food. Posted December 3rd, 2014 at 10:02 am | Log in to reply. Your videos are daebak ;) thank you for always sharing. I have a little issue, i can’t find the black bean paste here, they only sell black bean sauce. Can i use this? If yes, do i have to reduce the amount of water or modify the recipe otherwise? Posted June 18th, 2015 at 6:20 pm | Log in to reply. Posted October 6th, 2014 at 12:22 pm | Log in to reply. Posted October 6th, 2014 at 1:07 pm | Log in to reply. Yes, you can use either beef or pork. Beef will turn out very delicious! Good luck! Posted November 3rd, 2014 at 6:09 pm | Log in to reply. Can I substitute the black bean paste (couldn’t find any) with Lee Kum kee black bean garlic sauce? Posted November 4th, 2014 at 8:36 am | Log in to reply. “Lee Kum kee black bean garlic sauce” *is* jjajang! At least, a Korean friend told us so when giving it to us. So…do I make it the same way? Or jst add it to pork and onions after its done? Is this sauce the easy way as the not do the extra steps that you have to do with the paste? follow Maangchi’s steps for a good meal, using Lee Kum Kee – or just use the sauce alone if you are in a hurry. You have to taste it yourself to decide what you prefer. Posted October 5th, 2014 at 2:04 am | Log in to reply. 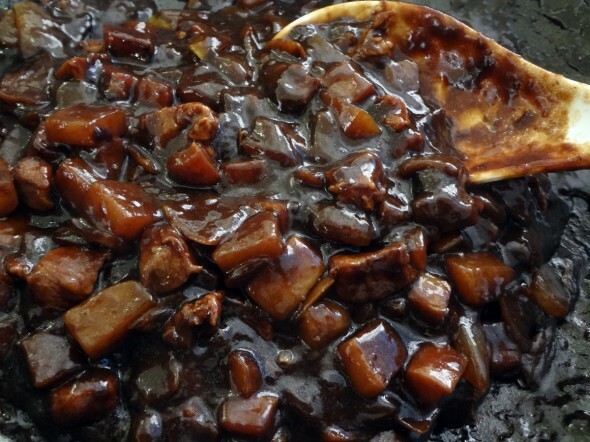 i made this jjajangmyun for my parents and friends and they loved it =] and hopefully if i have children i would definitely cook this for them as well . i also made the soon du boo jjigae and my father loved it exp my food does not taste as good when i try to make it for a lot of people haha >.<;; may be i am putting less ingredience then i calculated. PS: Nice Blue Wig =] I Have The Same One Too^.^! Posted October 6th, 2014 at 12:03 pm | Log in to reply. Jjajangmyeon, sundubu jjigae, and manju are not easy recipes for a beginner cook, but you made all these well. Congratulations! Cheers to our blue wigs. Posted September 13th, 2014 at 6:04 pm | Log in to reply. 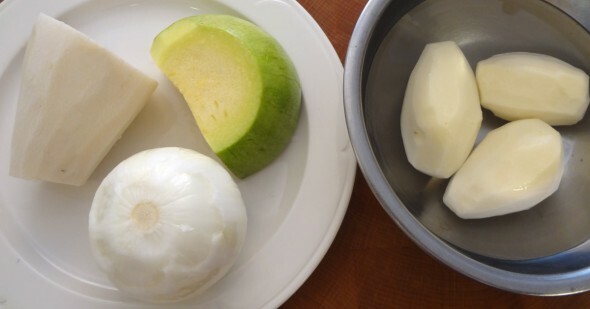 Is it possible to replace the raw daikon with daikon kimchi? Posted July 23rd, 2014 at 3:57 am | Log in to reply. “make a little stage for miss beanpaste :)” I love it! your videos are wonderful. Since I found your website a few years ago I have recently re-located to Pittsburgh and have had much better luck finding Korean ingredients. Looking forward to trying more of your recipes now that I am able to get most of what I need! Posted July 23rd, 2014 at 8:40 am | Log in to reply. Posted July 22nd, 2014 at 1:21 am | Log in to reply. Love this. Been following you for quite some time and just adore this recipe. Thanks for the hard work. Posted July 23rd, 2014 at 8:41 am | Log in to reply. Posted July 7th, 2014 at 5:20 pm | Log in to reply. 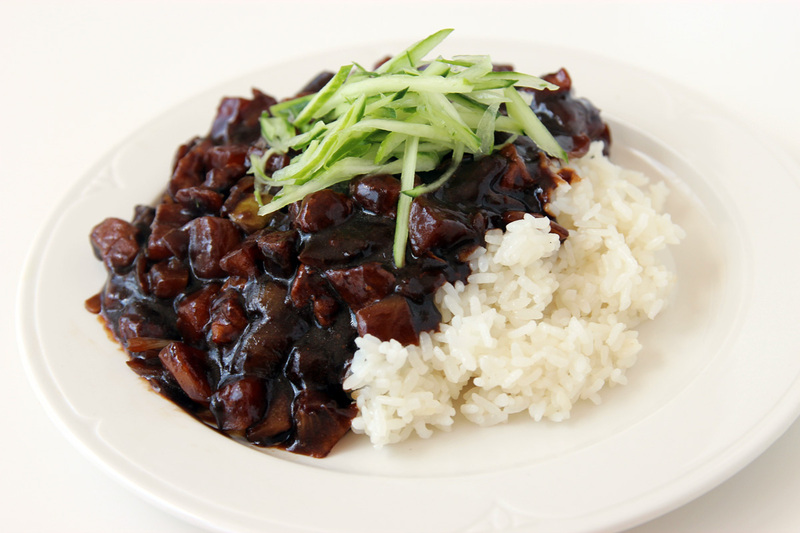 –The real question is: When making jjajangmyun, can you use beef instead of pork? It is just because I do not eat pork. I love Korean language and culture and really want to immerse myself in the food now. You have helped me do that. I am not that good of a cook, but you have made me want to perfect my cooking even more now. Keep up the good work! Maangchi fighting! Posted July 7th, 2014 at 8:23 pm | Log in to reply. Yes, you can use beef or chicken instead of pork. Good luck with your Korean cooking! Posted May 23rd, 2014 at 11:45 am | Log in to reply. 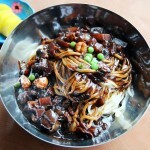 I was wondering, if there is too much jjajangmyeon and I cannot eat it all how do I store it in the fridge? Do I just throw it in there with bowl and lid or do i use plastic wrap to seal it? Posted July 7th, 2014 at 8:32 pm | Log in to reply. You can keep it in the fridge and eat it later but it won’t be very delicious because the noodles will expand and won’t be chewy. If you have leftover sauce, keep it in the fridge up to 3 days. When you are ready to eat, cook some noodles and reheat the sauce and make jjajangmheon again. Posted April 16th, 2014 at 11:23 am | Log in to reply. 1st of all, thank you so much for posting these videos online! I’ve been looking for ways to taste these dishes! Hatcho miso soy bean paste and dried udon. 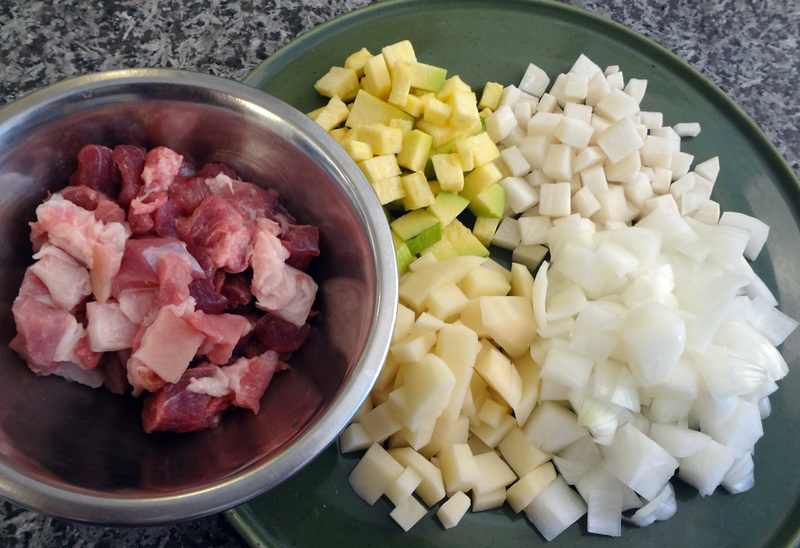 Do you think with these ingredients i can make a good jjajangmyun? Posted April 17th, 2014 at 10:50 am | Log in to reply. Posted April 15th, 2014 at 5:13 am | Log in to reply. Hi Maangchi, I got Bogum black bean sauce, which is in a round glass jar. You used the fermented black bean paste in your recipe. What are the differences? Can i use that bogum black bean sauce instead? Thank you. Posted April 15th, 2014 at 10:51 am | Log in to reply. oh, you bought pre-fried chunjang. Then you don’t have to stir-fry it with oil before using. Add it to the sauce directly. Good luck with making delicious jjajang sauce! Posted April 14th, 2014 at 11:11 pm | Log in to reply. 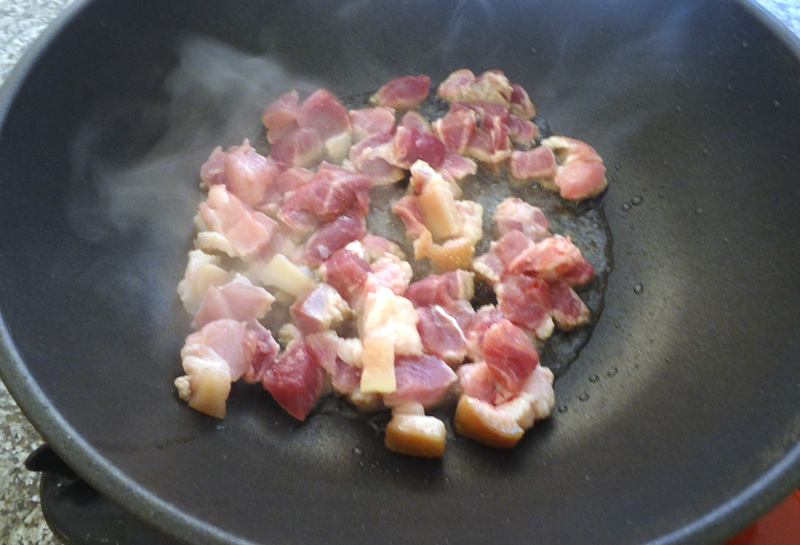 I followed recipe provided to the very dot (only minor change was using kobe beef for I cannot stomach pork belly). When I finished cooking, preparing it, and started eating, I felt like something was missing. Like the taste is not as robust as I remember it to be when I had ordered it at a Korean restaurant. Is there any way I can save the dish? Perhaps some salt to bring out the flavors more? Please help. I really love this dish and would like to perfect it before making it for my boyfriend. Posted April 14th, 2014 at 11:16 pm | Log in to reply. It sounds like your jjajang sauce turned out too bland. 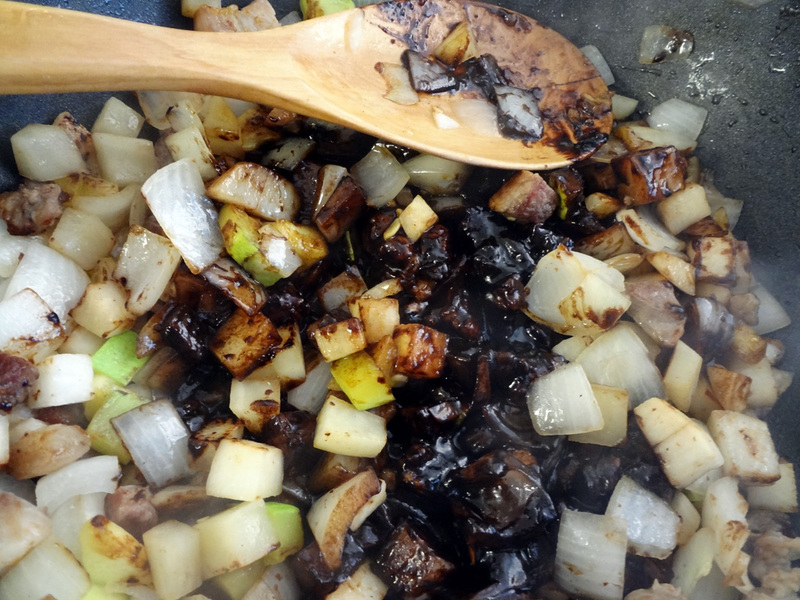 I would add more black bean paste and add just a little bit of sugar. Good luck! The video was watched 4,547,170 times on YouTube & has 68,101 likes! This video is a remade version of an earlier recipe. The original video was posted on 2007-07-30 and has 413,826 views.